I feel that the best way to treat a cold is to prevent one. But when I do catch a cold I try to work with my body’s natural healing mechanism to clear out viruses and infections. I do that by reaching for herbs that help strengthen immunity and support my ability to self-heal. When autumn and early winter roll around I always make sure to have a rotation of warming teas stocked in my apothecary cupboard, including the one that follows. My most recent cold care brew combines herbs of Libra (the sign that the Sun is for the majority of the time between Mabon and Samhain) with a nod to Samhain magick. And it uses just three herbs all of which are considered generally safe for most folks. The tea has a woodsy, comforting taste and smell making me think of gatherings of Witchkin and their familiars in secret forest circles. My hope is that The Woods At Samhain tea will help you prevent or overcome any sort of cold that comes your way so you don’t miss your coven gatherings. In addition to making a great tea blend, The Woods at Samhain would also make an effective tincture. For extra magick, brew it when the Moon is in the sign of Libra to help bring harmony into your life. Wood Betony (Stachys hyssopifolia) : I only started working with Wood Betony and one of the things I love about this herb is it’s taste - it is reminiscent of black tea without the caffeine. Wood Betony has long been used in traditional western herbalism, whether as an Anglo-Saxon charm of protection or as a well-regarded panacea. Within our blend, Wood Betony helps clear out congestion in the head, whether from respiratory infection or from anxiety and stress which has brought on brain fog. It also helps with sore throats, headaches, and general aches and pains that come along with having a head cold. Elder Berries (Sambucus nigra) : If I could only choose one herb to use for colds and ‘flus, it would be Elder. I can attest to the incredible preventative and healing power of Elder - it’s an incredible Crone of Medicine tree. In fact, Elder was one of the first herbs I wrote about on this here blog and you can read more about it’s healing gifts here. Anise Hyssop (Agastache foeniculum) : Anise Hyssop is a delightfully aromatic herb that officially falls under Mercury when it comes to planetary guardianship, but it is still an Air herb (Libra is an Air sign) and it’s sweet fragrance ties it to Venus, too. Medicinally, Anise Hyssop soothes sore throats, calms coughs, and relieves indigestion. It also lends our tea a naturally sweet flavor. Recommended Dosage: 1 teaspoon tea per 8 ounces of water. 3 - 4 cups daily when you have a cold. 1 - 2 cups daily for prevention. Brew for 10 - 15 minutes or longer. If you’re looking for more recipes for Samhain (including my other favorite cold care tea, Witch’s Delight) be sure to check out my ebook, The Haunted Apothecary. 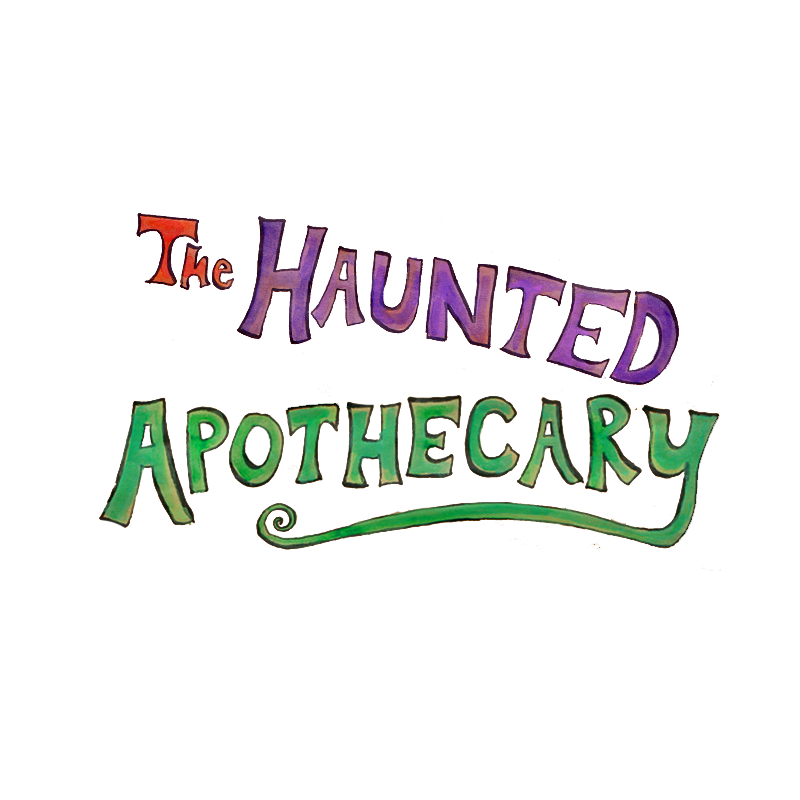 From a cold care elixir straight from the cauldron to a herbal powder for the brain so good it'll have zombies salivating, The Haunted Apothecary is full of some of my favorite and most used recipes. Have you worked with any of the herbs listed above? Or do you have your own favorite cold care botanicals? Let me know in the comments! We respect your privacy and will not share your information with anyone no matter how fancy their cold care tea.